North side residents drown from higher property taxes as The Illinois Pension Crisis worsens. Taxpayer Education Foundation (TEF) today released its annual analysis of the Illinois Municipal Retirement Fund (IMRF). 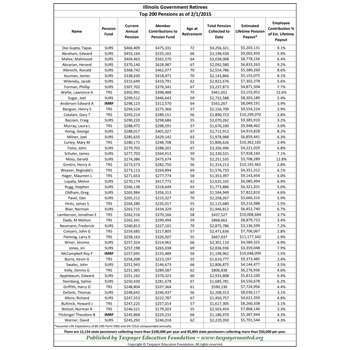 Taxpayer Education Foundation (TEF) today released its annual report and top 200 pensions of the Illinois’ Teachers’ Retirement System (TRS). Taxpayer Education Foundation (TEF) today released its annual pension analysis of the Illinois General Assembly Retirement System (GARS). See the data from all of our pension releases.